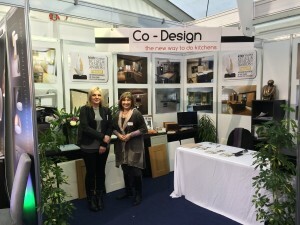 We are updating our Portfolios page at the moment with exciting new projects we have recently completed. 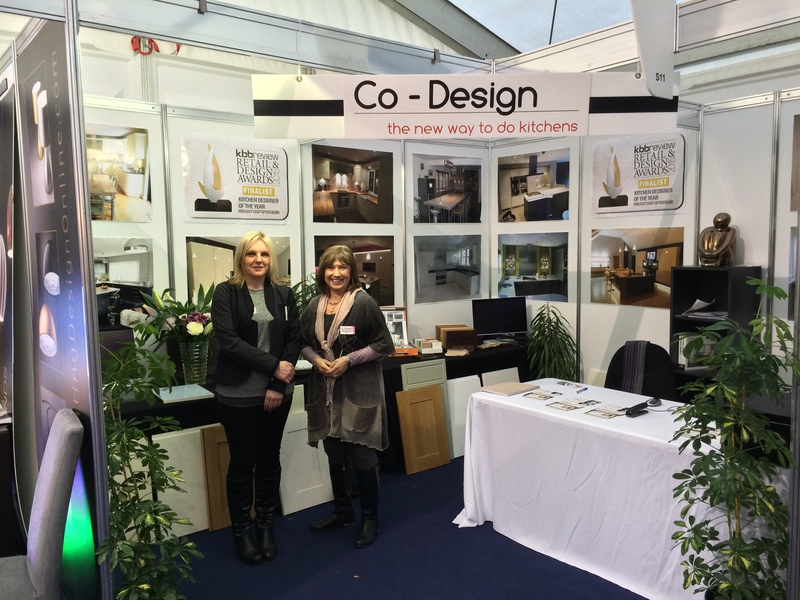 Thankyou to everyone who visited us on the stand and looking forward to getting involved in your projects over the coming months. 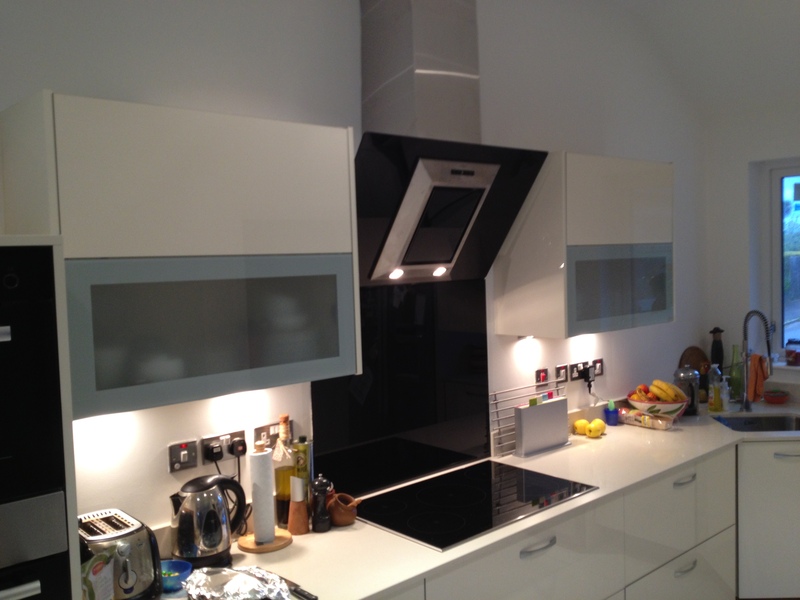 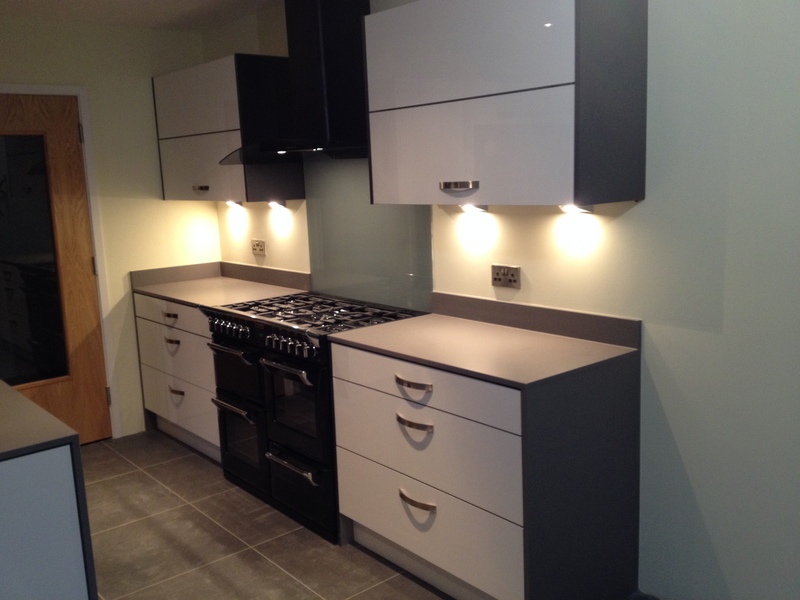 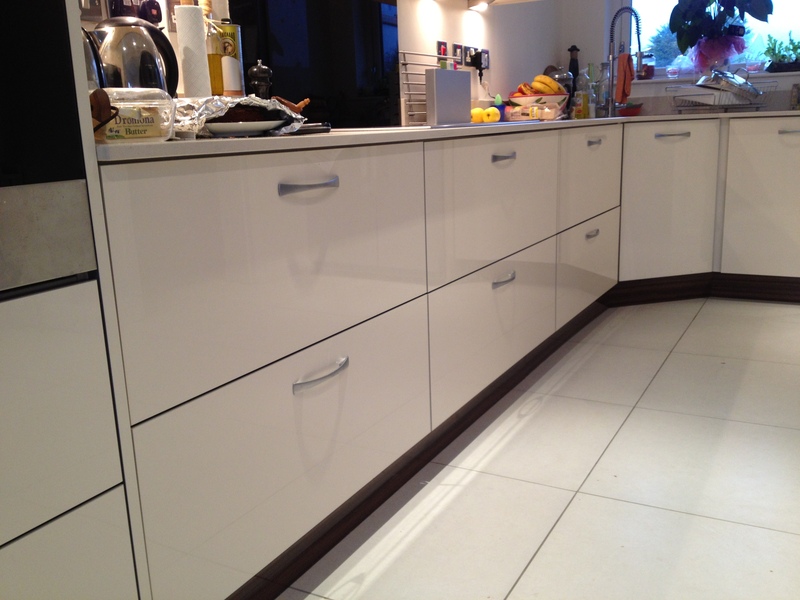 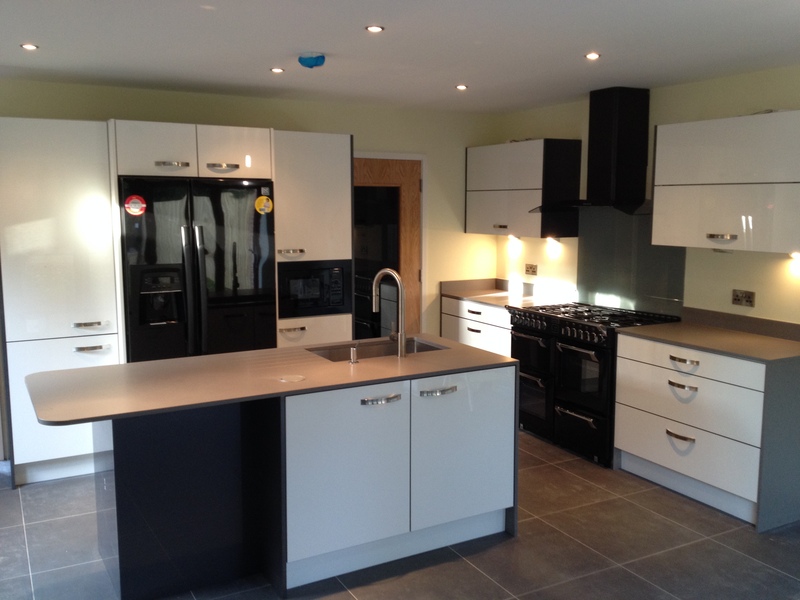 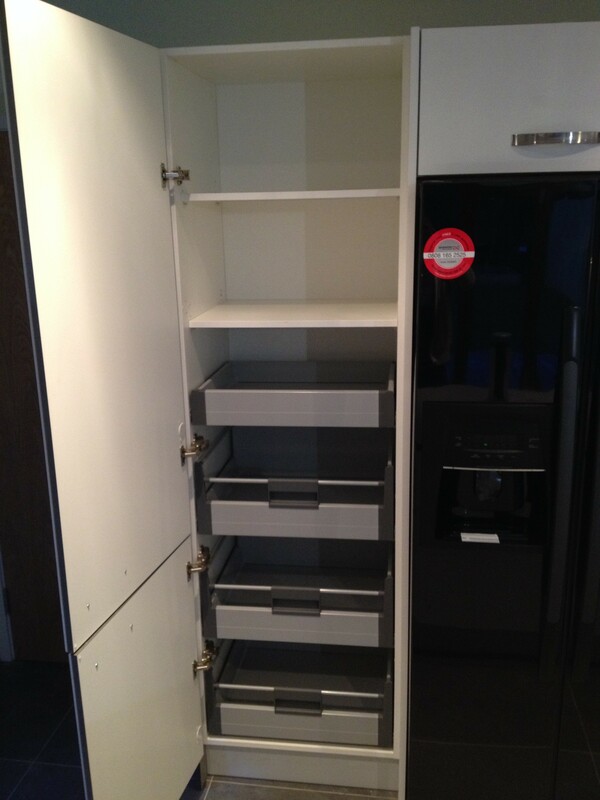 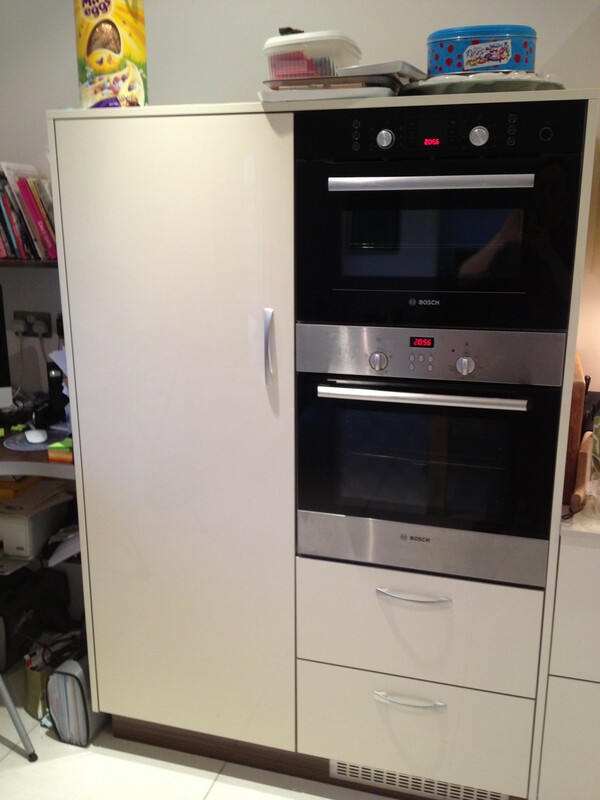 Lovely contemporary gloss white kitchen featuring glass edge doors and quartz stone worktops. 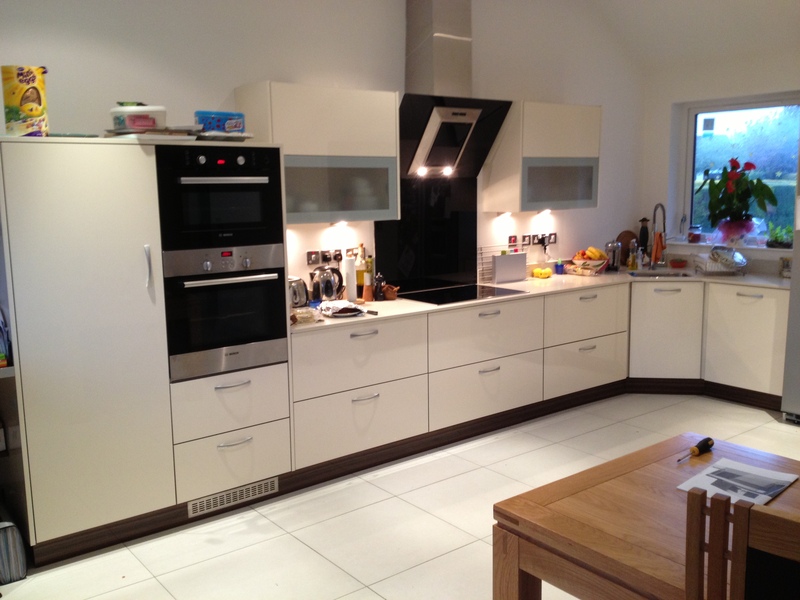 Here, the client was looking for a bright modern living style in this total house refurbishment. 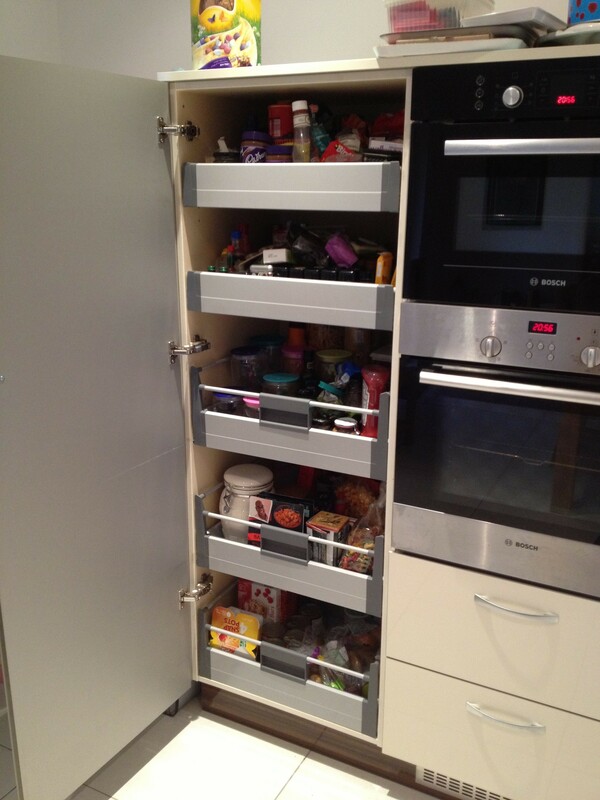 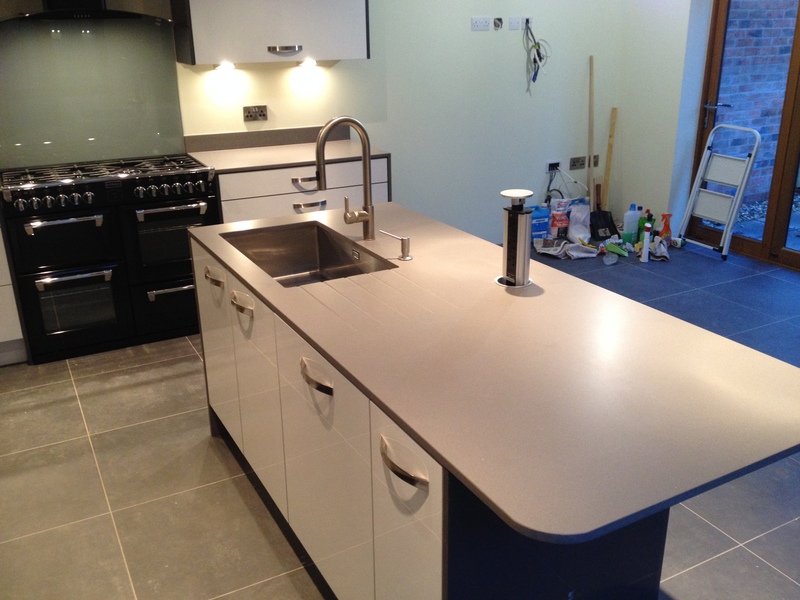 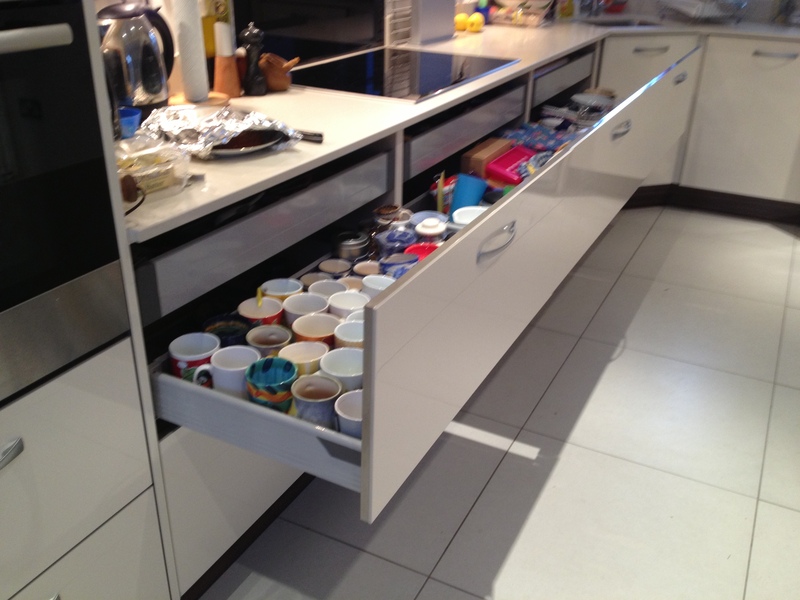 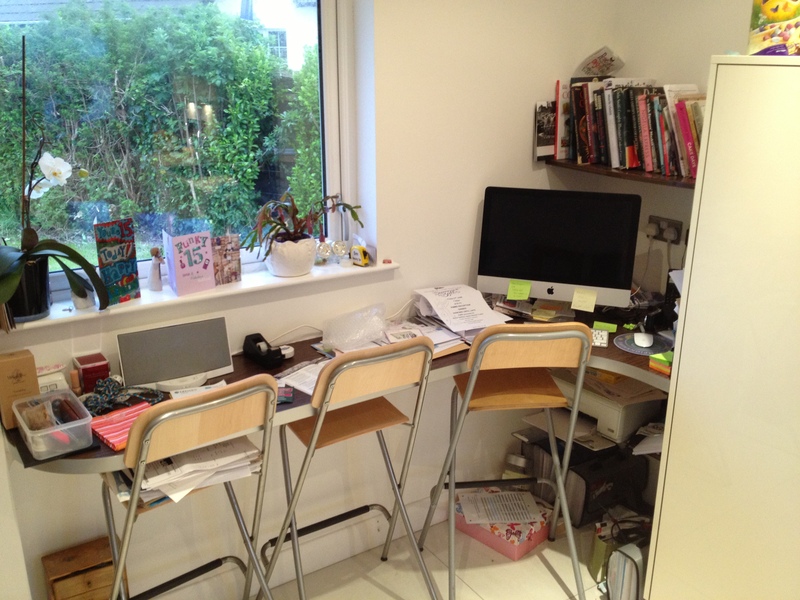 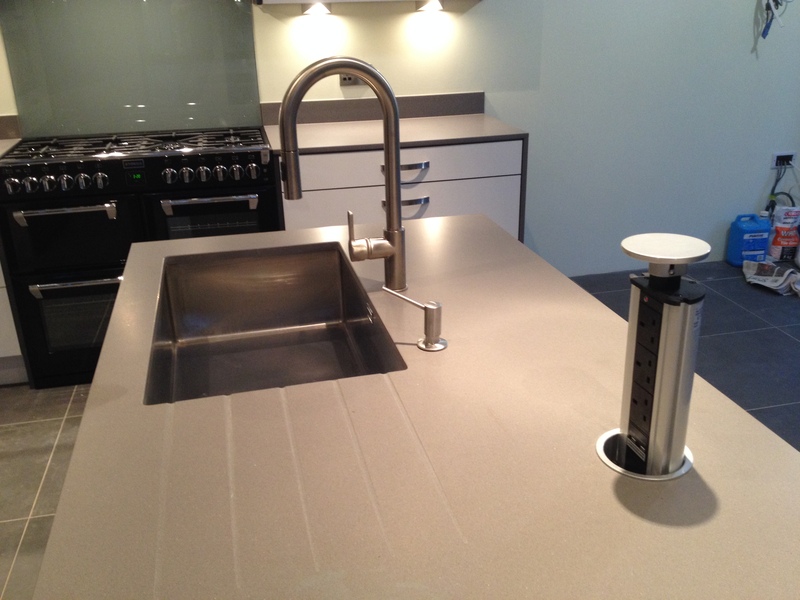 It was also important to have an area incorporated into the kitchen for homeworks and home office and this was achieved by curving the worktop round the corner.